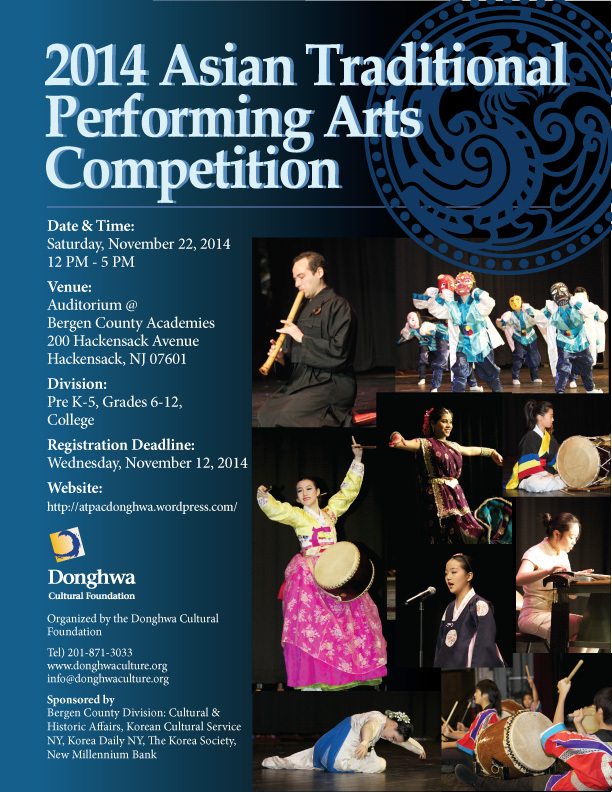 We cordially invite you to the 2014 Asian Traditional Performing Arts Competition (ATPAC). ATPAC is a special presentation of traditional and classical Asian dance and music that is open to K-12 and college students. We aim to provide a venue that will not only exhibit the talent and effort of our participants but further the promotion and understanding of these various Asian performing arts and cultures. If you have any further questions, please feel free to contact us at mseo@donghwaculture.org or info@donghwaculture.org. Our phone number is (201) 871-3033.